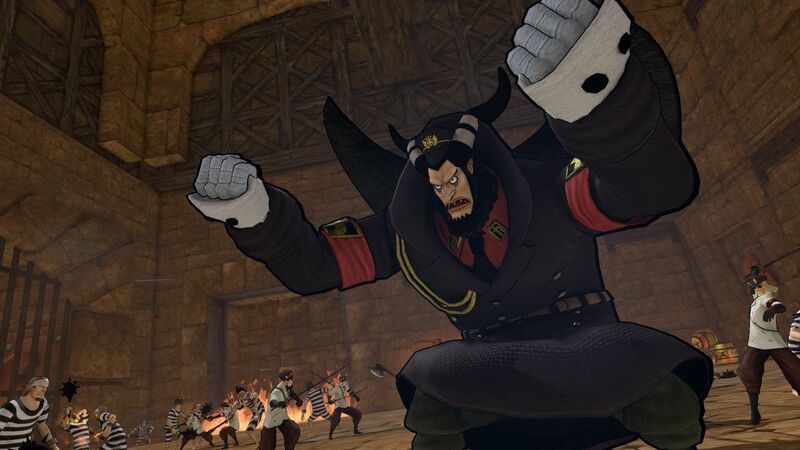 I'm not very well-versed in the world of One Piece, but I'm tempted to dive further into after playing the One Piece Pirate Warriors 3 demo at the Bandia Namco Summer Showcase. The game follows the early adventures of Luffy and the Straw Hat Crew starting at the beginning of the whole story. However, the demo I played took place in an icy village where a villain wanted to make a name for himself using an army of fish men. The main protagonist, Monkey D. Luffy, tips his straw hat and enthusiastically accepts the challenge of taking on an untold number of enemies in a 1 vs. 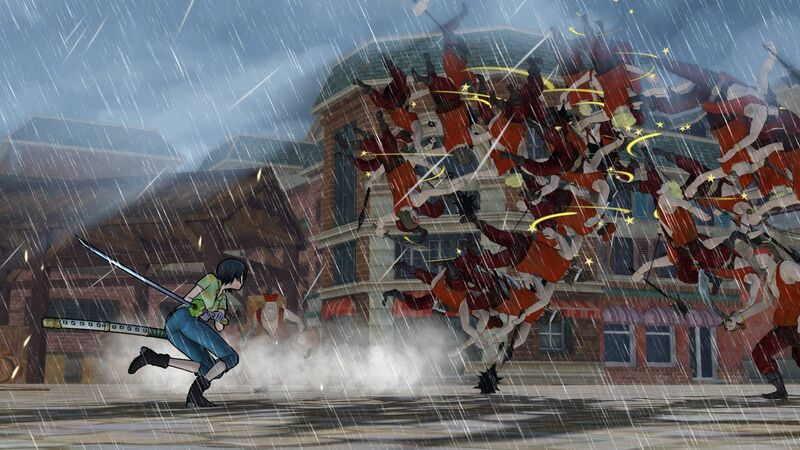 Hundreds, Dynasty Warriors style, action game. The combat is cartoony and completely over-the-top, as Luffy almost single-handedly fights off battalions of fish men using stretching limbs like Plastic Man with a straw hat. Luffy's fists transform into giant ball-shaped weights, which he uses to smash groups together. His rubbery arms stretch out and whip groups back. He can also transform his legs into a spinning whir, like an upside down helicopter, causing him to float and kick the faces of all caught in his path. And those are just some of the basic moves. 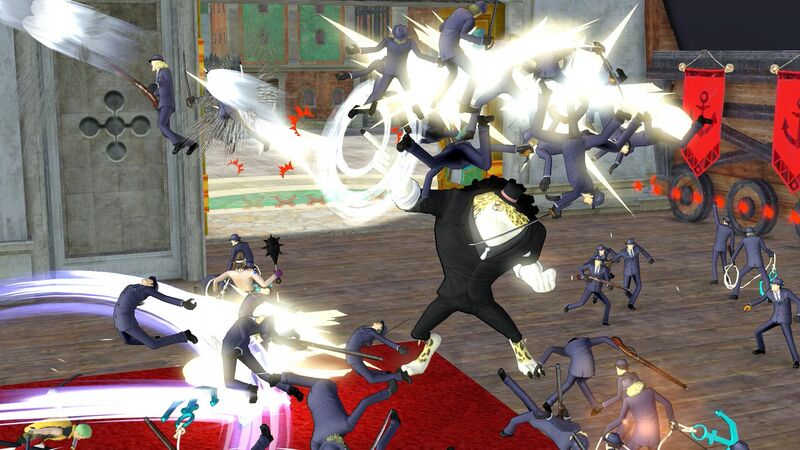 Brawling charges up a power meter, which can be used to unleash a host of powerful super moves. Chief among them is unleashing key members of key members of the Straw Hat Crew to go crazy with their signature weapons on everything in front of you. The significance of some of these pirate characters was lost on me, but I still appreciated the wild animations and comical style. I imagine that the final game will help flesh out some of these characters for those who aren't familiar with the animated series, since the campaign takes place from the beginning and requires players to assemble the crew. Beating up hordes of enemies and defeating captains will help break down strongholds and conquer the territory, which in turn unlocks access to adjacent territories. However, it is easy to lose track of what direction you should be headed and the time limit bearing down on you amid the chaos. I got so wrapped up in beating up enemies with an array of outrageous powers that I forgot about actually winning. Bringing up the overhead map shows you which territories still need to be taken, but it doesn't seem to differentiate between areas that are accessible and those that are locked out. 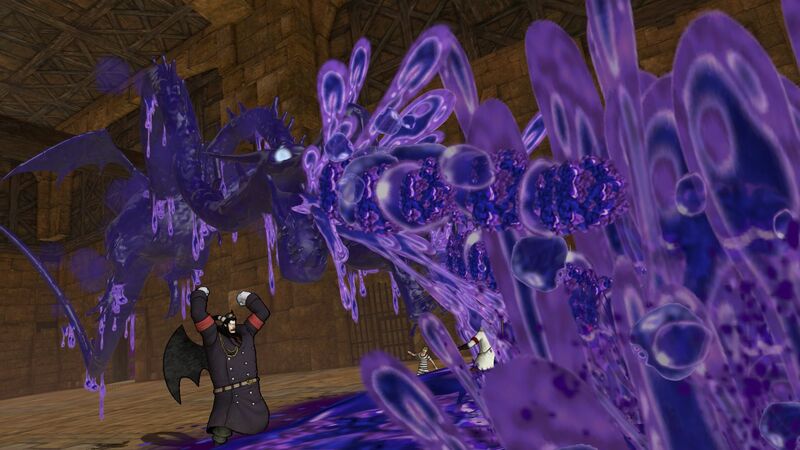 At the same time, the myriad of enemy types tend to blur together amidst the action. Ultimately, enemies come down to those with shields and without. Shield carriers usually surround captains and other key objectives, but it can be easy to overlook them the amid the sea of enemies. Additionally, the fact that some of your crew mates are among the throng, battling enemies alongside you, can almost go unnoticed. 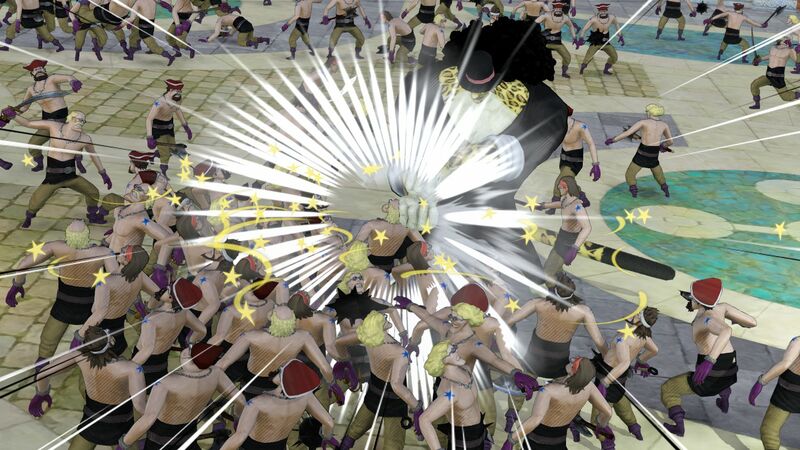 When it comes down to it, One Piece Pirate Warriors 3 is as simple as gameplay gets. You throw your character at enemies, using powerful move to sweep, crush, and punch dozens of them at a time, then move a little further to do it some more. I conquered a territory almost by accident, and didn't progress very far after that because I got too wrapped up in the cartoon action. Ultimately, I ended up being done in by the time limit, which I ignored until it was too late to catch up. Still, just playing the demo was a fantastic and fun time, and it got me interested in learning more about the TV series.